Work for SolarWinds Patch Manager? Learning about SolarWinds Patch Manager? The software is easy to use and integrated with my RMM tools. Very easy to understand and navigate. Information is very clear and precise. Gives standardized information I can easily relay further along the chain of command. Color coding allows the status to be viewed at a glance. Login and loading can be a little slow at times. With it integrated with my RMM, it may take a little time to navigate to as the different window panes have to reload. Have to navigate through several menus to find the status of all machines rather than just the one I have clicked on. Be sure to keep an eye out for a persistent failing of certain patches. I am able to keep all client's desktops and servers up to date. I have saved countless hours from having to do it manually. Gives me the clear information I can then easily relay to my superior. It has been a valuable addition to our managed services portfolio. "Great UI, terrible functionality, promising software..."
The software itself is generally very easy to navigate and it's easy to find what you need to find. Granted, there are some exceptions to this, but for the most part, after using the software for a while, you get a feel where items are in the left-hand side bar. I was not involved with implementation but from doing a minor overhaul of the system, I can't imagine it would have been that difficult. Functionality is spotty at best. We'll have system that show up as fully patched in the system but then our auditors will catch stuff on the same boxes. Turns out that certain patches need to be "activated" beyond just being installed (i.e. registry keys, etc.) so Solarwinds Patch Manager only does half the job. Another issue is that the reporting is really not that great. It has some robust pre-canned reports that are really great, but they do not fit our organization at all and we wouldn't have a need for using any of them. We'd like to see more details about our machines, what patches are on machines, what patches are missing, etc. No patch management solution is perfect, but this is sufficient if you have a dedicated body to manage it. We do not, which makes it more difficult than it should be. SolarWinds Patch Manager helps us keep a "lazy eye" on all of our systems. It helps us automate system reboots and get patches installed on our machines after hours. It definitely cuts down on a lot of time but it does not do everything. "Great solution for patch management"
This is the first tool I’ve used that’s specifically built for patch management and it serves it’s purpose. It’s effectively applies patches downloaded to servers and reboots and planned. Sometimes you have to run a task multiple times in order to get the patches to install on a systems. It’s also not very inuitive for first time users setting up tasks. Also which there was a web interface. It's a great product to use for patch management solutions. Especially environments that take advantage of WSUS. Automating the patch management process and being able to scale easily as we add systems to the environment. I would like to be able to get to the Web interface. We were told by the vendor that the web interface doesn't work well so we don't use it. "SolarWinds - One of the best choices for Patch Management Software"
I like that is uses Microsoft WSUS for patching. It saves time and makes patching of workstations and servers simple. Due to small staff size and security and compliance audits, we needed to automate updates and be able to keep track of the installed base of servers and workstations to be sure we are covering all vulnerabilities. This does not only a great job for Windows O/S updates, it also allows updates to other 3rd party apps like Adobe Flash Player, Java, Chrome, Firefox, RealVNC, VLC Media Player and VMware Tools. We have one person dedicated to setting up, using and monitoring SolarWinds Patch Manager. It is not perfect and there are sometimes “bumps in the road” to deal with, but overall it does get the job done and saves us valuable time. The initial time investment to setup and learn was worth it and now we are seeing the return on our investment. Prior to this we kept a manual list and did manual updates as needed or time permitted. When we had a security and compliance audit coming up we always had to scramble to get up to date to reduce the number of items that were discovered and flagged. "It helps me see what updates need to be installed and which have failed." I love being able to push updates, then see how successful they were. It is really helpful to see which computers are failing as then I can determine the cause specific to each computer. Sometimes the check remains for days even though the installed updates went in. There is an ease of use that helps make sure Patches are made and maintained. We use this with the RMM as well and they work really well together. Finding out when computers have Microsoft update issues. I can then go directly to the PC and resolve them. "Good product part of the RMM"
Makes it easy to approve, decline or hide updates for an individual device or multiple device. More straight-forward than other patch management solutions and doesn't require a lot knowledge to implement or deploy. The patch scans some times fail for various reason and you have to manually re-run them. There are times when you need to reinstall the agent to fix this issue. But lately the product has improved and this failures are less often. If you are looking to monitoring your devices, this component is essential. It helps us monitor all aspects of the patch management, ensure all devices are updated and doing it from a centralised console. Because patch Management is much more than simply just Installing Updates on a system, A great patch management software is necessary to complete the necessary Task at hand, and SolarWinds Patch Manager allows for Hosted Patch Database site to assess the Vulnerability Status of the network. The weaknesses experienced by the SolarWinds Patch Management tool is the lack to offer a better event correlation. For instance, loosing a Core device that is part of a single point of failure, there are several alerts that are produced for the device's dependencies. Enjoy the integration of the software with SolarWinds Server & Application Monitor to get Full visibility on the application stack, from application to VM and datastore, on the interface of the Orion platform. Some of the problems being solved by the tool is the ability to Automate Patching and render it an easier process than a Manual one. "Easy install and configuration. " I like that the installer did not require me to manually download and install SQL and WSUS. They were deployed automatically as a part of the installation. The to do list is also helpful in configuring the server. Once I got Patch Manager working it greatly reduced our effort to keep systems updates. Every time I attempted a connection Patch Manager displayed a permissions error. After a while I figured out that WSUS and Patch Manager can't be on the same server, but I wasted a day on this. Don't install WSUS on the same server. Makes patching installed software very easy to visualize, manage and deploy. It greatly reduced the company's use of IT resources to update systems across the network. I like what it offers. WSUS, SCCM, vulnerability management, patch compliance, etc. The level of security we feel with this manager is top-tier. The alerts and access we get to things like managed computers, management groups, windows updates, approved/preapproved/unapproved agents. It was challenging for some to learn to manage it. Perhaps could be more user friendly. I recommend this management system for small to mid-sized companies looking for a way to assist their clients with patching and vulnerability scans. Vulnerability issues are the biggest priority at the company. We have many clients we manage, so it is crucial for us to always know we are helping them be secure. "Makes patch management a breeze." It is an easy to use single online platform to manage multiple devices across a number of operating systems. To be honest I haven't had any issues using Solarwinds patch management. We recently had a number of issues with laptops crashing due an out of date driver which was resolved by forcing the update to silent install through patch management. Almost an entire company had an issue resolved without any of them knowing it. "Give this product a TRY"
2. At times devices loosing connection with the console, need to re-install the agent. 3. Patch Manager can be a bit difficult to use at first.I had to rely heavily on the administrator guide to get started. Lost of deployment options are given, which one can not find in other similar products. Love the software where I can push out updates to 3rd party updates like flash, java, and chrome with a breeze. Can’t push out Mac updates and support to custom packages is minimal. Allowing us to keep software like java and flash which get updated frequently installed on our client machines. Machines are kept up to date weekly instead of manually updating them as needed. SolarWinds Patch Manager is used for our help desk ticketing system. This is an internal system we use to keep track of incoming issues within the company. The interface is fairly simple to use and visually appealing. We are able to customize it to our needs. I have run into a few issues using this mostly regarding closing out tickets or trying to switch in between ticket types. This also logs me out for no reason at times and other times I think I’m logged in until I try to save something then it logs me out. the Management piece of knowing and understanding the clients logs. it has very detailed information that it can provide you when there is anything wrong with the network, It makes tracking down the root cause a little easier with all of the detailed logs they provide. the complication of setting up rules and policies, time consuming, amount of those that need knowledge in order to be able to understand setting up the configurations. Be prepared to have someone with very detailed oriented skills to implement. Someone who will review everything they've done to be sure the policies are set up correctly. the setup piece is very time consuming. anytime there is a new product added to your network it is difficult to spend the time setting up all of the alerts for that one new device. I love the fact that I can set and go and don't have to worry about patching. I routinely ensure that everything is patching properly - but I've never had an issue. Nothing found this to be a great software. The issue we had was managing all the patches easily. We were having techs go into each machine to do patching. Now we have a single console to do it. Great! "Patch manager has saved me many hours of watching patches!" I recently purchased patch manager, ever since then I’ve saved so much time watch and waiting for patches. I can patch at tonight while I’m sleeping! Sometimes the GUI is confusing and hard to decipher! Real time patching has solved many business needs, from patches for virus’s to just updating service packs. "Get the patch and test it before you deploy ot"
Great too where you see the version and test before you deploy with automated manner. Sometimes prompt for unrelevet patch as new . It is just a point need to draw attention while choosing the right update and patch to deploy. The part I enjoy most about Solarwinds Patch Manager is the ability to pre-schedule the approval of patches. This allows much more flexibility than Microsoft's native WSUS. What I dislike the most is a feature I wish I could get working more. The third party patching feature seems amazing but we have never been able to get it to work. It could very well be the user but following online guides didn't help. For those considering SolarWinds Patch Manager be sure to get some education credits or training. 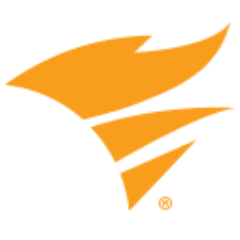 Currently we are using SolarWinds Patch Manager to keep our PCs and servers patched. We have benefited from the flexibility of scheduling patch approvals. The complexity of the setup and daily use was too much for our needs. I would work on simplifying the administration. I also would recommend to have the sales people at solarwinds not call every other day to sell additional products. That in itself was a turn off to continue use of their products. I like that we are able to schedule all of our patches from a single location using Solar winds. This allows us to tap into the WSUS characteristics of windows and deploy from a central location. I dislike that solar winds patch management can be resource heavy and somewhat clunky of an interface. Solar winds allows us to keep our end clients up to date and to avoid any issues with critical security patches. It is an easy and reliable way to schedule automated patching. Reporting isn't as flexible as I would like. Specifically, it would be nice to be able to display a graph of machines missing patches that are more than 30 days old. If you already use Solar Winds, add Patch Manager. Security and compliance. It has cut the time I spend dealing with patching in half and made what time I still spend less stressful since I can focus on troubleshooting any issues that come up. "Great tool for maintaining security"
It is a good tool to maintain security patches. You need better documentation on how to use it, or a video. To have better videos and and a place that is a repository for those videos. It allows us to concentrate on other issues while Patch Manager alerts us of needed patches. Pre-scheduling the approval of patches. Good patching details. Great price. Basically a quick and easy way to keep on top of patches. Not as happy with the reporting end of things. Isn't compatible with WSUS. Challenge to do the initial set up and get everything up and running. Once you get through the initial start up process it is a joy to work with. Finding out when and why some of our CPU's are getting errors updating Windows. "Intuitive Administration software very accurate"
"Good tool to manage your SQL Server estate." Good interface, good functanility could have been more intitutive but overall livable. Make it more user friendly please and have some training videos etc linked from within the product help. Solarwinds ability to bring all its products under one central view. This helps with corrilation of events and remediation efforts. "Patch Management you can Trust"
It's GUI is very user-friendly with ease to manage important updates and make changes to patch management as required. I currently have not come across any dislikes with the software. Keeping on top of patches released from Microsoft that have caused other issues with servers and rolling them back and stopping them from being applied. "PM must better than SCCM"
PM is much easier to use and implement. It's a front end for WSUS and does not replace WSUS. There is a bit of a learning curve. But pretty much the same as SCCM. Easy to deplay third-party patches. Much easier than SCCM. Pushing out patches for common patches. Very easy to set up polices and rules. After setup, it's great. Easy and granular. It's a very detailed setup, to get all monitoring active. "Quick tool for software vulnerabilities"
"Easy solution included in Solar Winds RMM / MSP package." Complete control of windows patching from a centralized dashboard. Many times, there are service failures on workstations that prevent the whole patch system to work. Keeping desktop computers that may not get IT people on them all the time up to date and safe. "The software works well for patching our computers"
Use it to replace the free SUS and have instant access to reporting. Although it's similar look to Microsoft sus there's still that learning curve we're going through. Microsoft SUS is too limited. This allows us to see more details and aware of successful installations. User friendly and easy way to organize where the threats are and how to deal with them accordingly! Font size should be easier to read and it should be more visually appealing! "SolarWinds Patch Manager best software we used for patching "
Its an Automated patching of Microsoft servers, workstations, and 3rd-party applications. In the past we would patch manually at each workstation during routine time but with patch manager its easy for us. "Works well but over priced"
"Not finding it very useful"
The pricing is good and why my company tried it. It has none of the features of patching with sccm and seems not follow standard port protocols. It has issues with consistent reporting. None so far. Works well to monitor the devices and integrates well with service now. "Easy to navigate and implement "
Support is horrible and there are always issues deploying agents. User friendly interface, and very customizable. Slow to update when issues arise. Does not update in real time. Network. Helpful for monitoring device errors. "Helps out for network equipment"
* We monitor all SolarWinds Patch Manager reviews to prevent fraudulent reviews and keep review quality high. We do not post reviews by company employees or direct competitors. Validated reviews require the user to submit a screenshot of the product containing their user ID, in order to verify a user is an actual user of the product. Hi there! Are you looking to implement a solution like SolarWinds Patch Manager?